To resist external pressure, stiffened spherical domes have been widely used in underwater vehicles. In traditional design of these thin-walled structures, uniform stiffeners are usually utilized and overly conservative safety factor method is employed to envelop the multi-source uncertainties mainly caused by manufacturing. 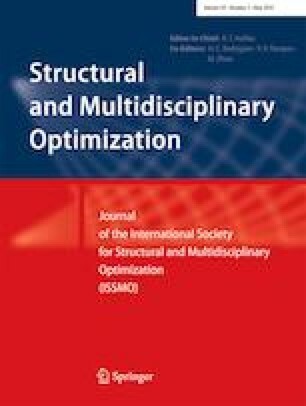 In this study, a concept of non-uniformly stiffened spherical dome (NUSPD) is developed to improve the structural buckling capacity. Furthermore, an efficient reliability-based design optimization (RBDO) framework is established for NUSPD, which includes a deterministic optimization loop to fix the stiffener layout, and subsequently followed by a RBDO loop to determine the detailed stiffener dimensions and decrease the structural weight under geometric and material property uncertainties. Since the RBDO of stiffened spherical domes is very complex, an improved enhanced chaos control method together with surrogate model is proposed to improve the convergence rate. Finally, the efficiency of the proposed RBDO framework is demonstrated by the NUSPD example. This work was supported by the National Natural Science Foundation of China (11772078 and 11825202), the Young Elite Scientists Sponsorship Program by CAST (2017QNRC001), the Fundamental Research Funds for Central University of China (DUT2013TB03 and DUT17GF102), and the National Innovation and Entrepreneurship Training Program of China (2017101410000040002).